Tarlok Sablok, commissioned as a Notary in 1977, is well known in the community for his helpful nature, in and out of his practice. He is the past regional chair of the Canadian Diabetes Association of Canada and actively takes part in building local communities, wether they be across the street from his home, office or country. 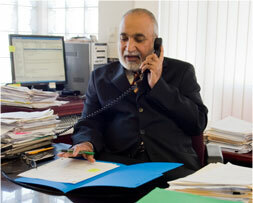 He is a past Director on the Board of Directors of The Society of Notaries Public of B.C. and is the past Chair of the Vancouver Chapter of The Society. 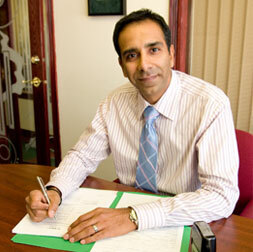 Akash Sablok, commissioned as a BC Notary in 1998, loves to help his clients with the Notary services they require. He is currently the Chair of the Board of Governors of The Notary Foundation of BC, the past President of the Board of Directors of The Society of Notaries Public, of BC, and the past Chair of the Vancouver Chapter of The Society. Akash lives, works, and plays in the community where he practises. His clients travel from as far away as Alaska for his assistance. Please conact Akash for the Notarial help you require.